Evaporative cooling is a technique that has been used for millennia to cool spaces without the need for electricity or special equipment. In fact, all it takes is a porous container such as a terracotta pot, some water, and a bit of a breeze. 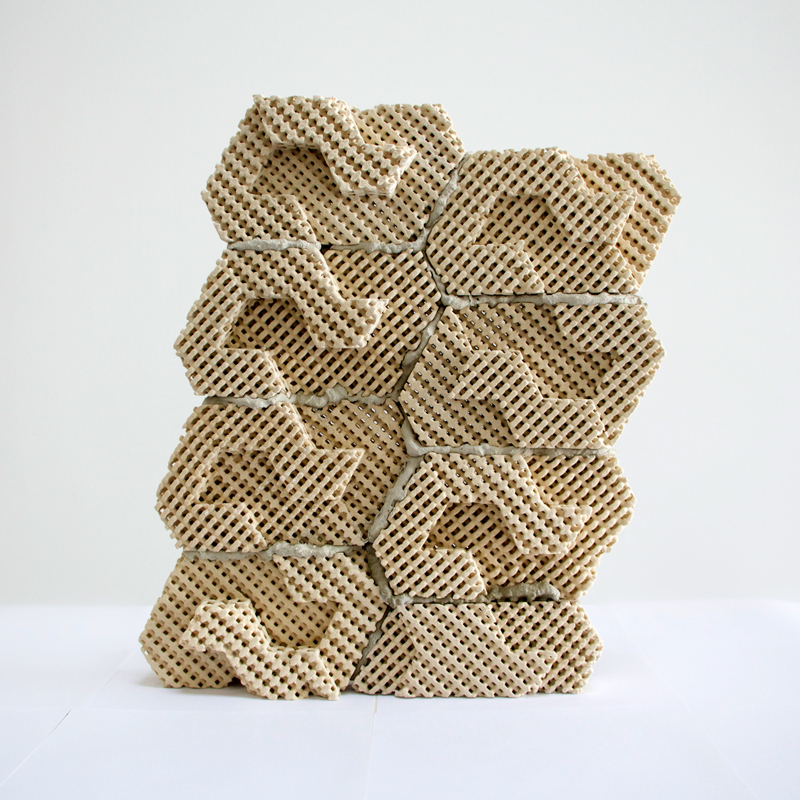 Designers Ronald Rael and Virginia San Fratello want to bring the idea of evaporative cooling into the present day with a 3D printed porous brick that can cool a home with no need for air conditioning. 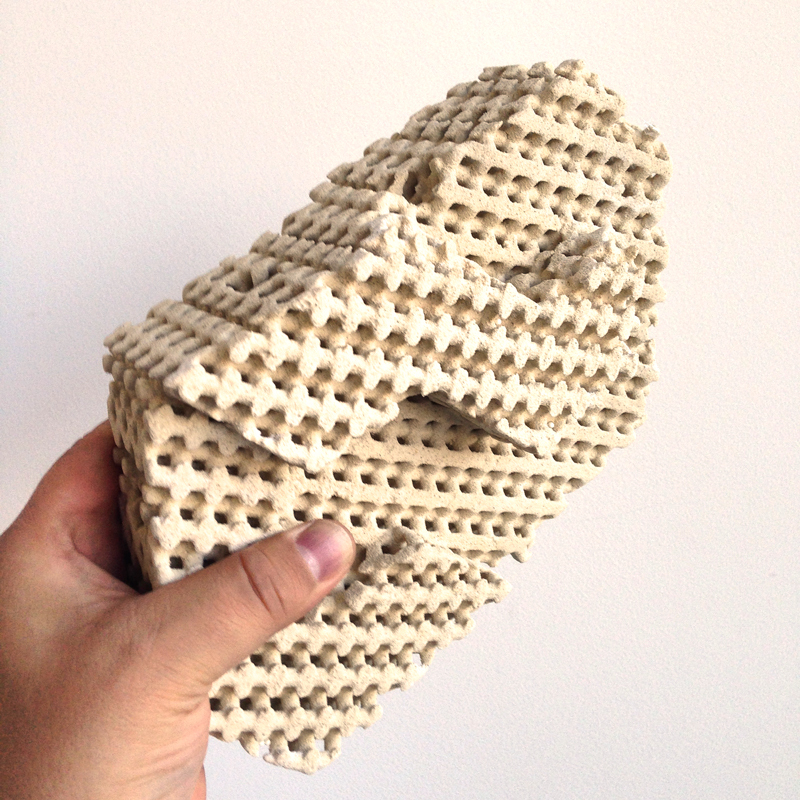 The 3D printed Cool Bricks are made from a mixture of clay and organic matter. After printing, they are fired in a kiln – a process that burns up the organic matter and leaves behind teeny-tiny pores that can hold microscopic beads of water. As with ancient evaporative cooling devices, the water evaporates when it meets warmer air, which reduces the air temperature nearby. 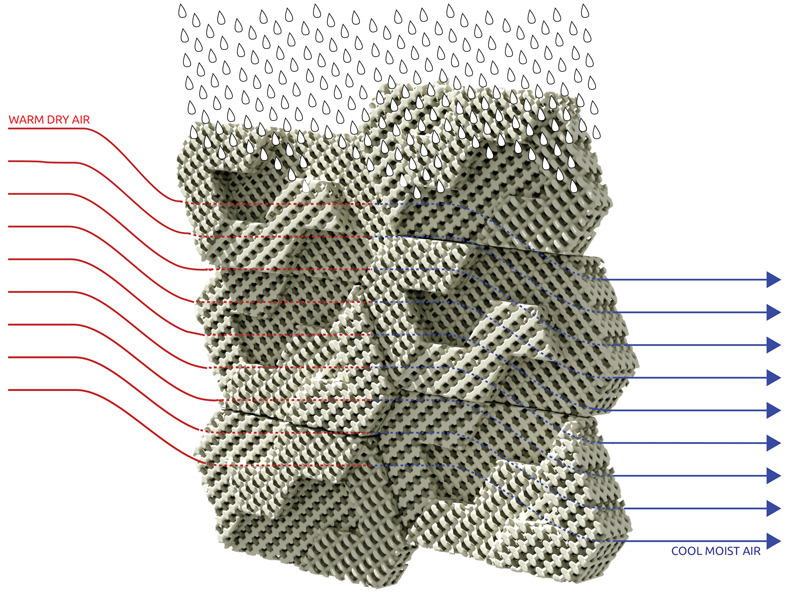 The designers, working under the name Emerging Objects, figured that building these cooling bricks into walls would produce the same effect as using an evaporative cooling device, but on a larger scale. Instead of running up a high electricity bill, users in hot, dry climates will just supply the thirsty walls with water and let nature cool their homes. The Cool Brick combines the best of old-world ingenuity and modern technology to create a pretty smart product. 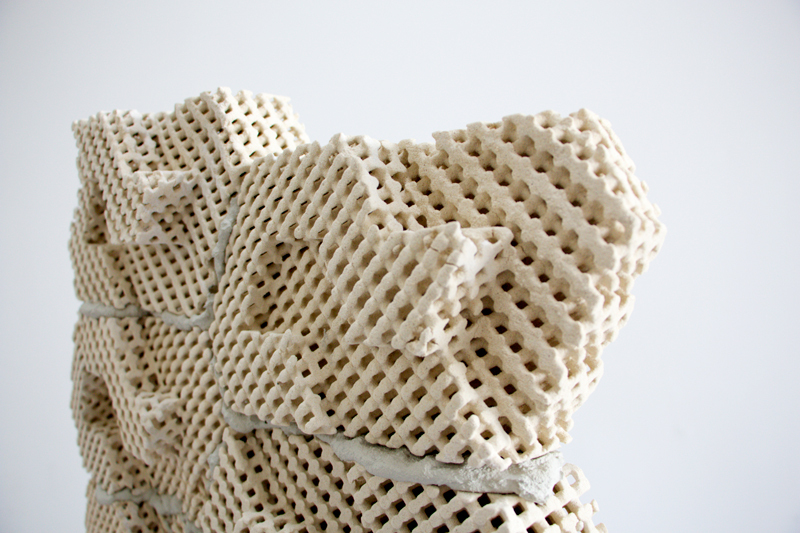 While Cool Bricks aren’t quite ready to be built into new homes just yet, Emerging Objects hopes to soon build a full-scale prototype to show off just how amazing this melding of old and new innovations can be.